Remastered in 2019 with new graphics and sound effects, Radioactive is simple strategy game of nuclear war. Take turns to aim and launch missiles, aircraft, and anti-missiles in this game for one to four players. 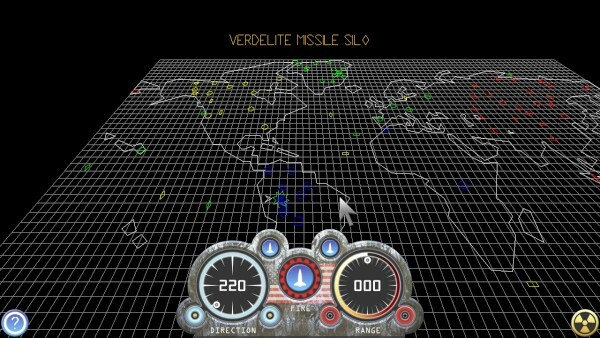 Each player is given missile silos, factories that supply them, plus submarines which have three shots, some airbases, aircraft carriers, and defensive A.B.M. sites. Players then take it in turns to fire one shot of their choice. Destroy all of the enemy launchers and you win, or you could destroy the factories and starve out your opponent, or target cities and you might get lucky and wipe out their headquarters. Armageddon has never been so much fun.